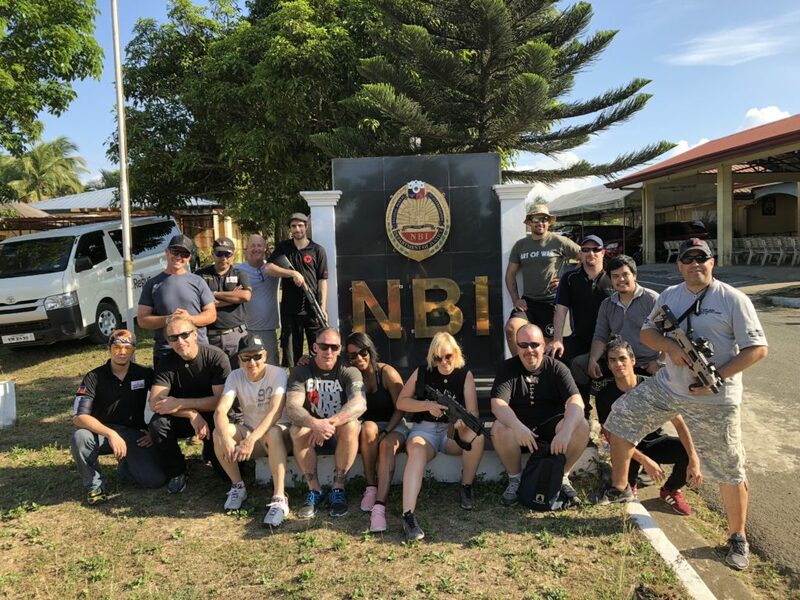 Through our contacts in the Philippines we are excited to be able to offer camp participants an opportunity to experience some shooting with instructors from the National Bureau of Investigation, NBI. The instructors are senior agents and/or specialised instructors. This experience will require registration and payment up front as ammunition is heavily restricted in the Philippines. See payment button at the bottom of the page. Due to time restrictions and limited access to handguns we can not cater for inexperienced shooters. You must have some experience in handling handguns, knowledge and understanding of range safety, handgun handling safety and some common sense. How many can join the shooting experience? We have capped it at MAX 18 persons. Experience has shown that this is a functioning size of a group. First come, first serve! Book and pay in the droplist below. The cost for the day is 7.500PHP. We have to charge in the local currency as we pay straight to our contact for preparations, ammo and range fees. When is it and how long does it take? We have secured Saturday 20 April 2019 for this experience. It will be an early morning start and we won’t be back until late in the afternoon/early evening. Remember, you’re in the Philippines, EVERYTHING here takes at least a day! – You must wear enclosed shoes at the range. No flip-flops or sandals. – A cap/hat is very good to have. – An extra t-shirt to switch to after the shooting (it gets sweaty). – Water is never wrong. What if I’d want to shoot more? Well, lucky you! We have secured the option to try out bigger handguns than .40cal pistols, namely pump action shotgun and automatic rifle. The exact weapons depends on what agents are at the range and what weapons they bring. We have shot Mossberg and Winchester shotguns before, and M4, AR15 and Galil SAR among the automatic rifles. Book the extra shooting you’d want to do on the droplist below!